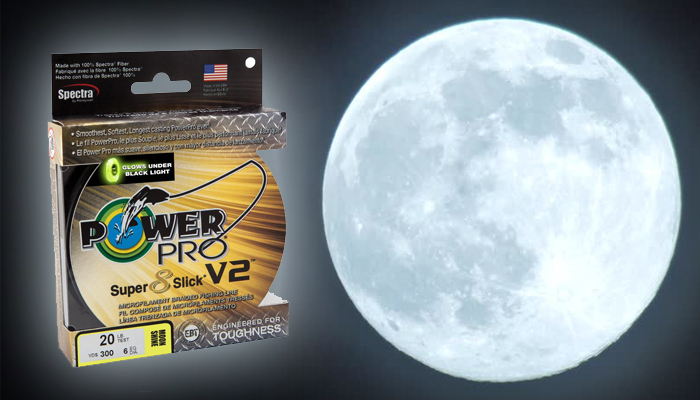 With the growing trend in nighttime bass fishing tournaments, PowerPro expands the award-winning Super8Slick V2 braid line-up with its new ‘Moon Shine’ color, featuring a special process that makes the braid glow when used under blacklight. The new braid officially launches this coming weekend at the Bassmaster Classic Outdoor Expo in Knoxville, Tenn., where it will be available from select retailers exhibiting at the Expo. PowerPro Super8Slick V2 braided fishing line, winner of ‘Best New Fishing Line’ honors at ICAST 2018, combines a new dense weave eight-end diamond braid construction with the company’s proven ‘Enhanced Body Technology’ (EBT) process. The new ‘V2’ version continues to be the smoothest, softest and longest casting braid in the PowerPro line-up. Its use of Honeywell Spectra fiber provides a stronger, tougher braid, while the PowerPro EBT process makes the Super8Slick V2 structurally rounder. 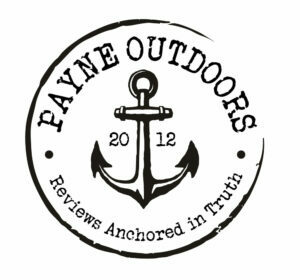 The process floods propriety resin through the finished braid, resulting in a smoother line that reduces backlashes, increases casting distance, makes it easier to tie knots, and offers superior strength to size ratio. As with all the colors offered in Super8Slick V2, the new Moon Shine color braid is being offered in 8-, 10-, 15-, 20, 30-, 40-, 50-, 65- and 80-pound test (from 1-pound test to 18-pound test mono diameter equivalent), and in 150- and 300-yards spools and 1500- and 3000-yard bulk filler spools. For other fishing situations in both fresh and saltwater, Super8Slick V2 is also available in PowerPro’s well-known moss green for all-around use, onyx (black) for those looking to target big bass, hi-vis aqua green for visibility-minded anglers and when fishing over soft cover, and blue, a color preferred for many in saltwater and a growing number of bass anglers.